Marco Polo Jinjiang has been designed and furnished to a high standard and whether you are staying with us for business or pleasure; we have the facilities that would help you pass the day away in a relaxed surrounding. 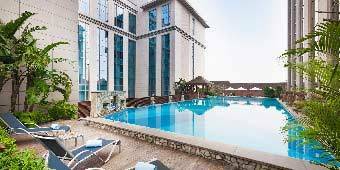 Relax and enjoy the warmth of the sun whilst sipping chilled fruit juice in the hotel’s outdoor swimming pool and Jacuzzi. Located on the 6/F, the pool is open from 6:00 am to 10:00 pm daily. 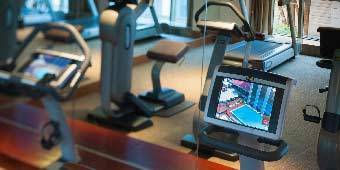 Spanning over 396 sq m , the fitness centre located on the 7th floor of the hotel is extensively equipped to international standard. Opening daily at 6:00am to 11:00pm. 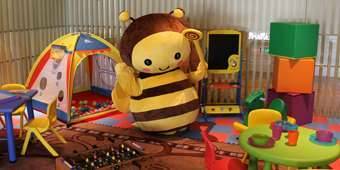 The Piccolo Kids Club at Marco Polo Jinjiang pampers your little ones with exclusive service and extra special care.